Ladysmith, BC, Canada, is a small waterfront village with views of Oyster Bay, located on the east coast of Vancouver Island, British Columbia, Canada on the shores of Ladysmith Harbour. The region includes the areas of Yellow Point and South Cedar. Activities most enjoyed in the Village of Ladysmith and the surrounding areas includes kayaking, SUP, sightseeing, hiking, golfing, birdwatching, sailing, fishing, boating, scuba diving and swimming. A few of the more popular activity and sightseeing park and trail destinations located in Ladysmith and the surrounding area includes Transfer Beach Park, Holland Creek Trail, Heart Lake Trail, and Elliot Beach Park. 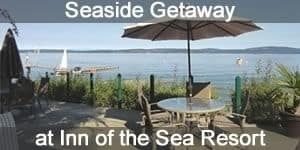 Some of the most visited sightseeing attractions, museums, art and cultural venues in Ladysmith, British Columbia and the surrounding regions includes First Avenue Historic Buildings (Main Street Ladysmith), Waterfront Art Gallery and the Ladysmith Museum. What type of Accommodations, Services and Amenities are in Ladysmith, BC? What are the places to stay in Ladysmith, BC? Places to stay include accommodations like motels, inns, vacation homes, bed and breakfast, rental suites and campgrounds. Important services and amenities for travelers when exploring in and around Ladysmith, BC, Canada includes tours, guides, pubs, restaurants, gas stations, gift stores, liquor store, grocery store, wineries, banks, and transportation services including taxi. Explore Ladysmith, BC, Canada Travel Guide for Accommodations, Attractions and Adventure.